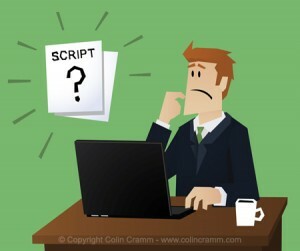 A strong script is the foundation of an effective explainer video for your business. In this article I’ll give you some easy to follow guidelines for writing your own killer explainer video script. The ideal length for an explainer video is 60 seconds. At a normal speaking rate you have only 150 words in which to tell your story. After one minute, the viewers’ attention span decreases, so try to keep your story concise and to the point. Creating your elevator pitch is the first step in developing a script: try to write down in 1 or 2 sentences what your business, product or service is about. It needs to be short, succinct and engaging. Having your elevator pitch ready is of fundamental importance to the script you’re about to write. Decide who your target audience is going to be. This greatly determines the tone of your script. Are you selling to consumers or to businesses within a certain field? What’s the age range of your audience? Are you trying to convince consumers to buy your product, or are you offering a valuable service to businesses? Can you use industry jargon in your script or would it be better to stick to non-technical language? Determine which solution your product or service has to offer to your audience. You want your audience to perceive your product or service as the best solution to their problem. Describe how your product or service benefits your target audience and why they should buy from you instead of your competitors. How do you stand out from your competitors? Wat are your unique selling points (USP’s)? Instead of creating a long list of technical specifications, try to from the perspective of your audience. For example: don’t say “Get 10 gigabyte more storage!”, but try something more personal, such as “More storage for your family photos and videos”. A short explanation of how your product or service works ensures your audience gets a better idea of what you have to offer them. Try not to bore them with endless details. Keep it short and simple. Your main goal is to convert your viewers into customers. You want them to sign up for a newsletter, visit your website or place an order. So make sure to include a ‘call to action’ at the end, such as a tagline followed by your contact details and website URL. Introduce a problem your audience could run into. Present your company or your product or service as the answer to the problem. Use the elevator pitch you prepared earlier. Describe the benefits and shortly explain how your product or service works. Encourage your audience to take action immediately. Repeat your business name, your tagline and your contact details. If you still feel like writing your own script is a daunting task, don’t fret! At Colin Cramm Illustratie & Animatie we can help you write your script and even create a fully animated explainer video for your business. Don’t hesitate to contact us for more information.